Understanding the potential of your organization comes from truly understanding its behaviour. 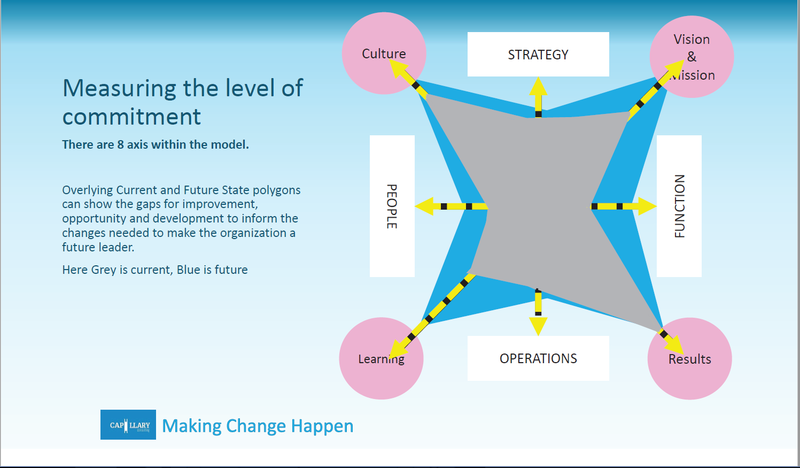 Our unique organizational mapping tool allows you to understand the current shape of your organization and see where it needs to flex and grow to reach its potential. Organizations are made up of people and appreciating the dynamics of their roles, responsibilities and purpose helps to unleash its potential. Our mapping tool assesses organizational behaviour at team, group, division and organizational levels. It enables you to focus on identified areas for improvement and to develop potential pathways for organizational success with a truly effective organizational design. We will learn about your organization through a series of rated question responses. Each answer feeds into our model to produce a value for each of the 8 axes that are present. 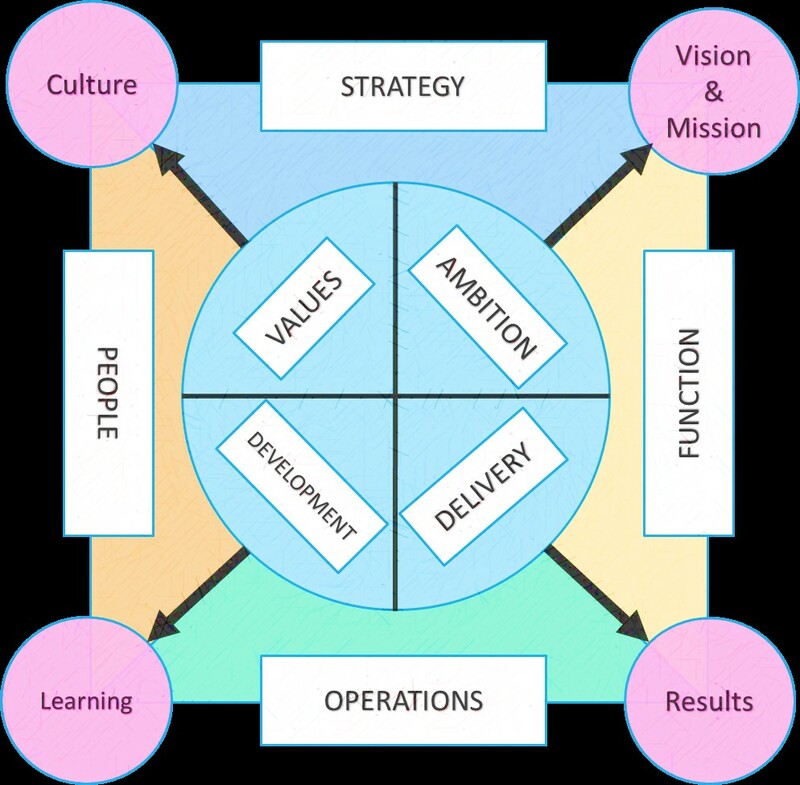 These values depict the shape of your organization, team or any other sector of your business and can be contrasted with the shape needed for your success. On the right you can see the foundation image we use to map out the shape of your organizational behaviour. Below you can see an example of what the results of an assessment might look like.